In a pie plate, gently toss avocado and tomato with dressing (avocado and tomato can be prepared up to six hours before serving). At serving time, spread about 2 teaspoons cheese on each toast slice. 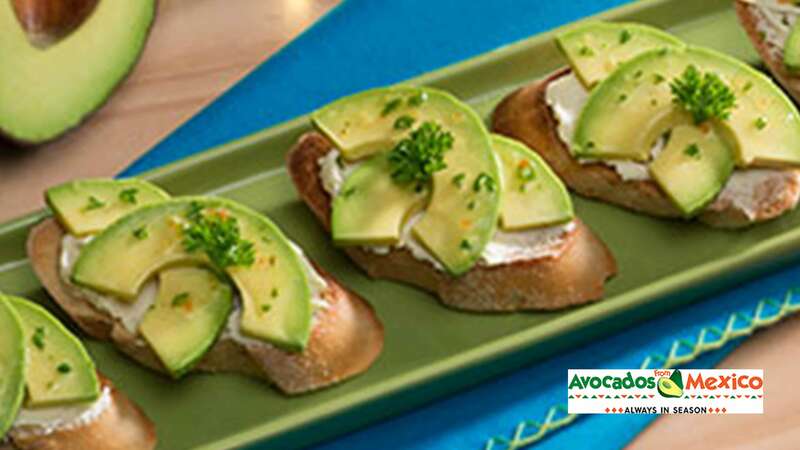 On each toast, place an avocado slice on one side and diced tomato on the other. Repeat with remaining toast, avocado and tomato.